312B Palaniandavar Colony, Sivakasi, Tamilnadu, India. Cat's Eye or Lahasunya gemstone belongs to the 'Chrysoberyl' family. Cat's eye gems that are a cloudy yellow to brownish green color, which shine with changeable colors and luster, are known as cat's eye. Cat's eye look like the eye of a cat caught in headlights at night. It can become visible in two colors translucent honey brown or apple green. 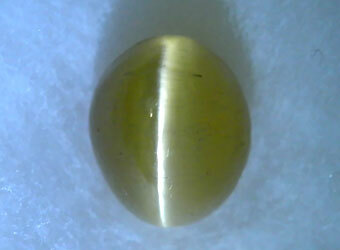 It is cut into a rounded cabochon and has reasonable dispersion. 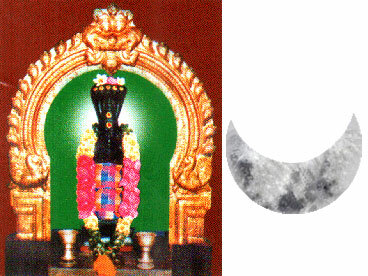 Cat's Eye associated with harmonizes planet Ketu. It is useful to eliminate evil influences of Ketu and diseases given by Mars. It is removes all the negative influences of planet Ketu such as physical weakness and mental worries. Cat's Eye gives very fine religious tendencies, simplicity, non-attachment and psychic powers as well. A Cracked Cat's eye gem can cause injury. Spotted Cat's eye stone can cause problems with enemies. A Dull Cat's eye gemstone will cause bad health. Black spots in Cat's eye stone can cause death.